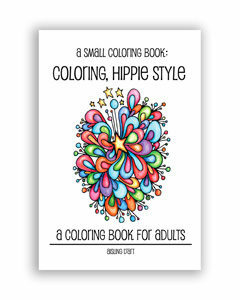 After several years in print, Aisling D’Art’s small coloring book, Coloring, Hippie Style, has – once again – surged in popularity. You can download a free sample coloring page at this link. Jake Camden joins us as a new author writing in the horror sub-genre. His first book is Descent. It’s the prologue to his new series, The Amityville Diaries. He’s followed-up with his second book, The Haunting of Obedience, a slightly campy ghost story for fans of 1960s’ horror movies. 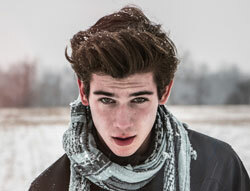 Jake writes from his dorm room in Vermont, where he’s majoring in Environmental Science, and filling his electives with courses about writing and journalism. In his spare time, he enjoys lacrosse, and he might spend too many late-night hours playing Fortnite. Recently, we’ve noticed that author Fiona Broome has written several new, helpful articles at her ghost hunting website, HollowHill.com. New fiction authors are encouraged to read Save the Cat! Writes A Novel, by Jessica Brody. You can learn more at her website, JessicaBrody.com. We also love these articles: How to Start Writing Again, by Mike Shreeve, and Scene Layering with an Example, by Rebecca Zanetti. We’re rebuilding this website. When we upgraded to a more powerful hosting account, we didn’t realize we’d also move to a new server. Glitches and an out-of-date backup (our fault) created the resulting issue. But, as we see it, this gave us a chance to rethink our website and redesign it. That’s in progress right now. Copyright © 2019 New Forest Books. All Rights Reserved. Theme by AcademiaThemes. Our authors earn royalties from the sale of their books that you purchase. Also, the owners of this website participate in the Amazon Services LLC Associates Program, an affiliate advertising program designed to provide a means for sites to earn advertising fees by advertising and linking to Amazon properties including, but not limited to, Amazon.com.